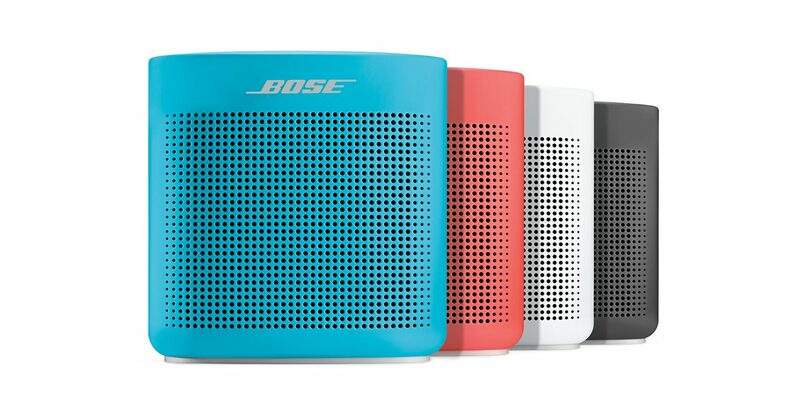 SoundLink® Color II is a result of Bose engineering, so it's packed with exclusive technologies. Like the dual opposing passive radiators, which help it pump out sound while keeping vibrations to an absolute minimum. It's how we make a speaker that rocks your world without moving an inch. 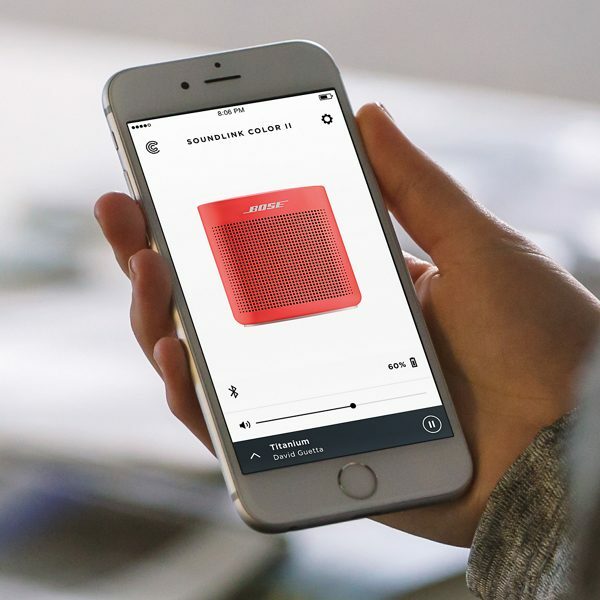 The SoundLink® Color Bluetooth® speaker II is designed for life on the go. The wrap-around silicon body gives it the compact durability you need to throw it in a bag or backpack and take it anywhere. But it's rounded with a soft-touch surface, so it's still easy to carry in your hand. 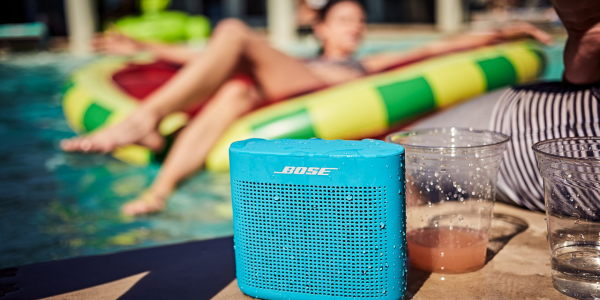 And, the SoundLink® Color II is water resistant, so you can listen by the pool or lake, too. It's tough enough to keep up, with a design that keeps your music portable. For those times when loud just isn't loud enough, use the app to connect any two SoundLink Revolve speakers in Party Mode. Or get even closer to the feeling of a live performance by switching to Stereo Mode. Instruments and vocals will naturally separate and spread across an immersive soundstage—making your music feel alive. Play your music wherever you are. No matter what you're doing. Weighing in at just 0.54 kilograms (1.2 lb), SoundLink® Color II is just a little heavier than a football. And using it is a breeze. Control multiple functions with the press of a button, like answering calls on speakerphone, skipping tracks, switching between connected devices and more. 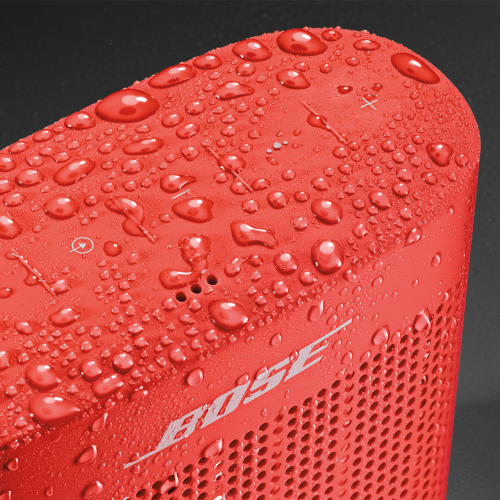 And you can take SoundLink® Color II along for day trips without missing a beat of your music. The rechargeable lithium-ion battery gives you up to 8 hours of playtime. Enjoy any song from almost any device — if it's Bluetooth®, you have everything you need to start playing. SoundLink® Color II features a reliable wireless range of about 9 metres, and connecting is seamless. Voice prompts talk you through the pairing and you can quickly switch between two connected devices. It even remembers the last eight most recently used devices, so you can reconnect your phone, your brother's tablet or your housemate's girlfriend's laptop.